Wireless DMX transmission from a DMX console. 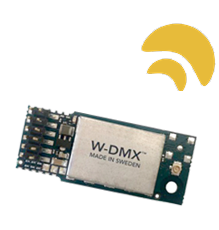 A TRX1 is required for wireless DMX communication with Luxium lights that are configured for wireless DMX control. Using Luxium’s ZMX Technology the TRX1 creates a wireless DMX link with Luxium lights and transmits DMX512 command signals. 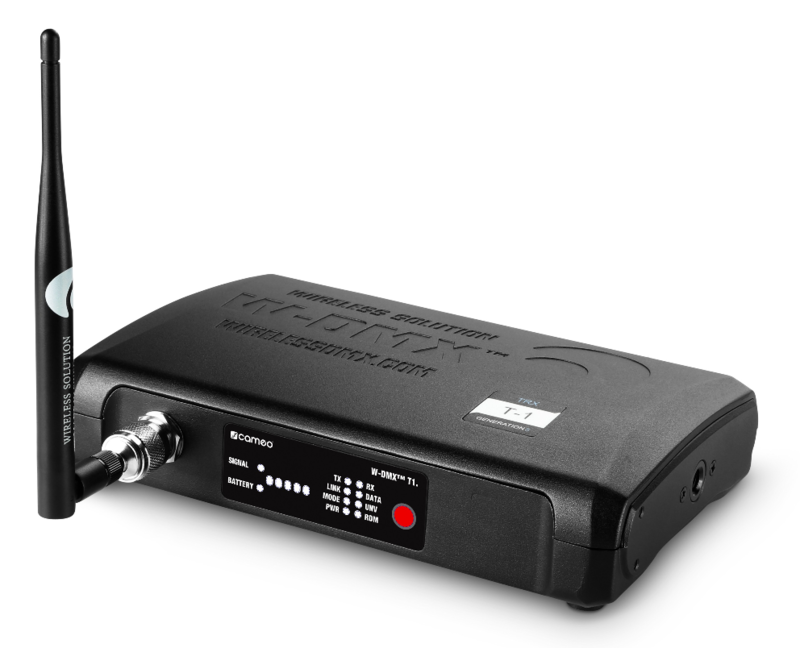 The ZMX radio used in the TRX1 streams DMX512 data to all Luxium wireless DMX lamps that have been paired with the transmitter. 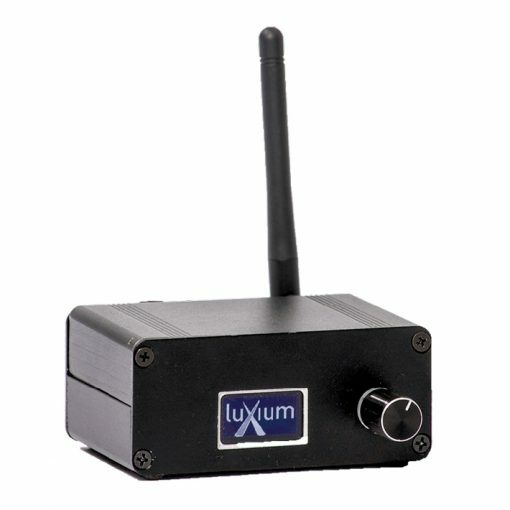 The Luxium ZMX1 is a wireless DMX transmitter which sends commands from any type DMX controlling device to Luxium lights. The ZMX also has the ability to run pre-programmed lighting effects in a standalone mode, part of the ShowCast™ system. The ZMX1 will broadcast to an unlimited number of lights, as long as they are equipped with ZMX receiver modules. Through a user interface screen and control knob the ZMX can easily be paired with the lights. Works with any Luxium light equipped with a ZMX receiver. Luxium designed stand-alone lightshow ShowCast™ mode with pre-set colors and sequences. 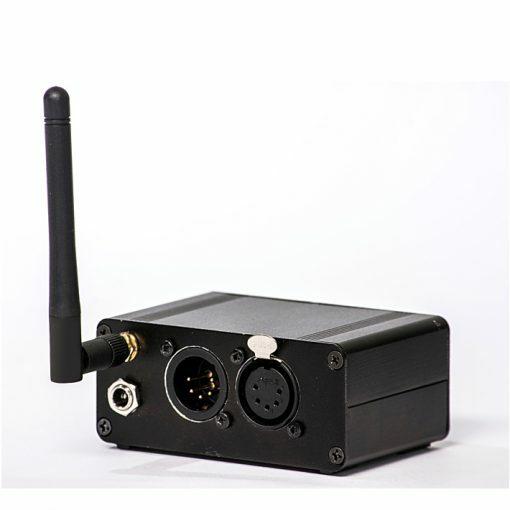 Traditional DMX can be wirelessly broadcast to lights with any DMX console using a 5-pin XLR cable. 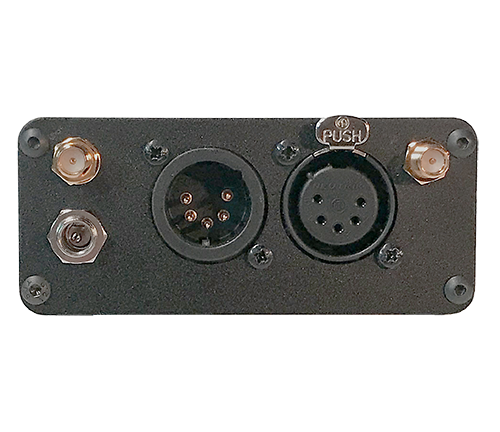 New for 2019, the W-DMX BlackBox G5 works with any wireless DMX lights equipped with a W-DMX receiver module. This system uses Adaptive Frequency Hopping technology to automatically avoid interference created by other wireless networks, for example W-LAN, wireless intercoms, stage automation systems and more. The T-1 transmits in the 2.4GHz frequency band. T1-G5 is made by Wireless Solutions and available from Luxium Lighting. Supplied Accessories include: 5dBi omi-directional antenna, phoenix connector, mounting brackets. NOTE: To control lights that have been adapted for W-DMX a transmitter compatible with W-DMX systems is required. 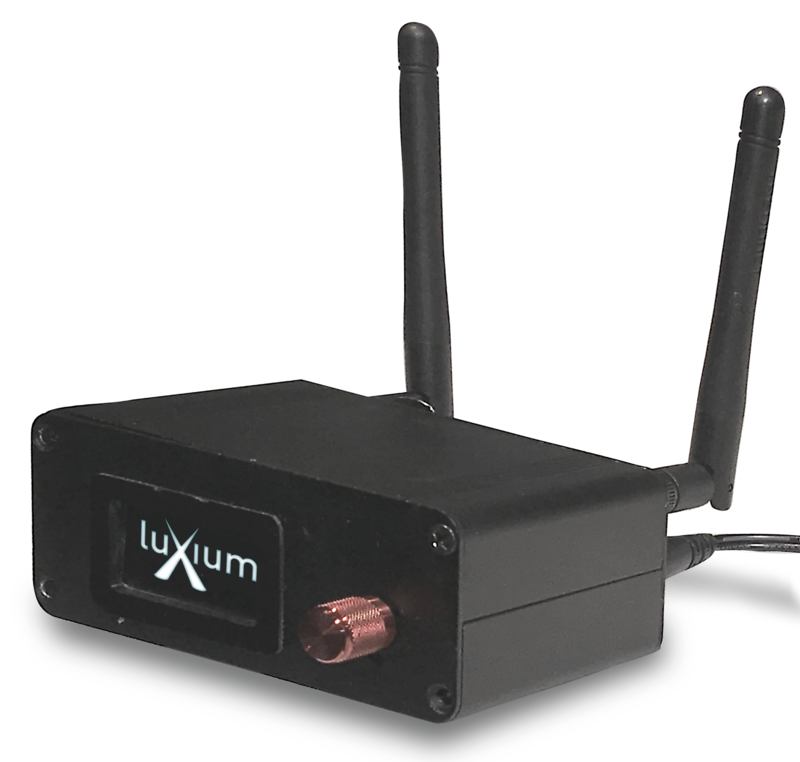 Luxium offers the BlackBox T1-G5 from Wireless Solutions if a W-DMX transceiver is needed.